The NHS website has a wealth of information on healthy eating including 5-a-day, healthy recipes, vegetarian and vegan diets, losing weight, digestive health, eating disorders and much more! Click the following links for more information. Links on this website are being provided as a convenience and for informational purposes only. They do not constitute an endorsement or an approval by Sleights and Sandsend Medical Practice. Sleights and Sandsend Medical Practice bears no responsibility for the accuracy, legality or content of the external site or for that of subsequent links. Developed in association with the British Dietetic Association, the NHS weight loss plan is a free downloadable 12-week diet and exercise plan. Eat healthier versions of the foods you love. You’ll find delicious, easy meal ideas in this free app. Great tips and advice to help you cook healthy and tasty meals. Search recipes by meal time. Find your favourite recipes and create shopping lists. The Change4Life Food scanner app is designed to show quickly and easily how much sugar, sat fat and salt is inside your food and drink – just by scanning the barcode. The NHS website has a wealth of information on stopping smoking. 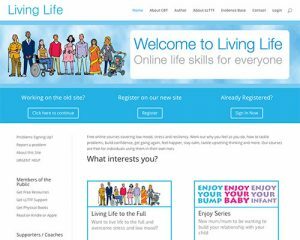 Find out about different treatments, health benefits, join the quit smoking community forum and much more. Did you know…?Stop smoking for 28 days and you’re five times more likely to quit for good. Stoptober is a great way to kick the habit with great support tools such as: a free app to track your progress, see how much you’re saving and get daily support wherever you are; social media groups to share tips and chat with other people trying to quit; advice on stop smoking medication; and much more. Smokefreelife North Yorkshire is a free stop smoking service commissioned by North Yorkshire County Council helping local residents to stick to their goal of giving up the habit for good. Bowel screening is an effective way to detect bowel cancer before symptoms show. When diagnosed at the earliest stage, more than 9 in 10 patients will survive bowel cancer for more than 5 years. Please visit CRUK for information on screening and an animation on how to do a bowel screening test. Bowel screening works better if you take part each time your invited, even if your previous result is negative! NHS Couch to 5K will help you gradually work up towards running 5K in just nine weeks. It is a running plan for absolute beginners. It was developed by a new runner, Josh Clark, who wanted to help his fifty-something mum get off the couch and start running, too. The plan involves three runs a week, with a day of rest inbetween, and a different schedule for each of the nine weeks. There are podcasts (also available as an app) to guide you through the sessions, explaining when you need to run and when it’s time to walk. The podcasts also feature music to motivate you through the workout. 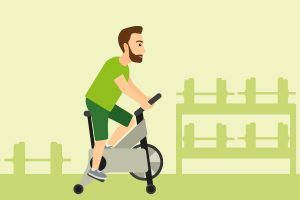 Fitness resources from the NHS including physical activity guidelines, getting active with a disability, video workouts, cycling for beginners, 12-week fitness plan, strength exercises and much more! The Reading Well Books on Prescription scheme helps people manage their own health and wellbeing through recommended self-help books endorsed by health experts. People can be recommended a title by a health professional, or they can visit their local library and take a book out themselves. The titles can be searched for and requested online or ask at your library and request them free of charge.